Have you ever dreamt of venturing off the beaten path, taking the road less traveled? Beyond Bora Bora and her overwater bungalows, lie within French Polynesia, some of the most remote islands in the world. Located nearly 1000 miles to the Northeast of Tahiti, The Marquesas Islands, known as “The Land of Men” by its inhabitants, is waiting to be discovered. Herman Melville wrote about it; Paul Gauguin painted of it; Jacques Brel sang of it. A paradise lost and now found with the new custom- built Aranui 5. 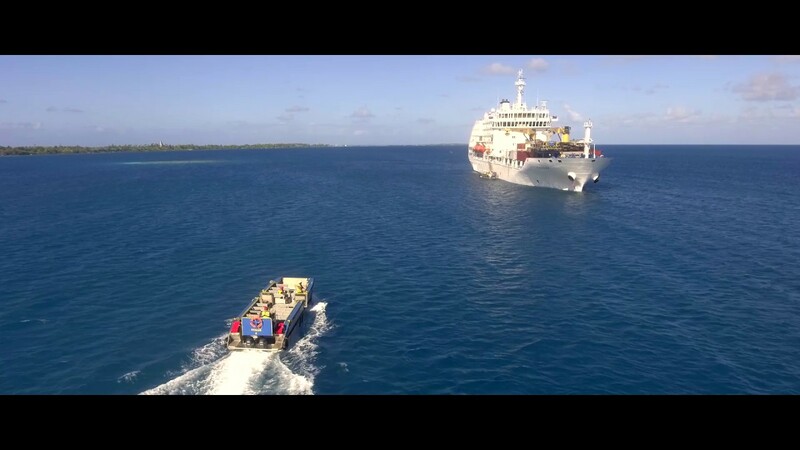 This upscale vessel, part passenger, part freighter, is the main supply line to this archipelago, providing passage in great comfort, to areas inaccessible by conventional methods. For the past 30 years, the Aranui, with its Polynesian staff and crew, has been introducing these mystical islands to the outside world. You will discover what Tahiti looked like fifty years ago, visiting all 6 of the inhabited islands in the Marquesas, as well as Fakarava and Rangiroa in the Tuamotus and Bora Bora in the Society Islands on this 13-day cruise. Experience the richness of the Marquesas, from its people to its history and culture to its breathtaking scenery. This is a soft adventure and cultural immersion at its best in French Polynesia. Step out of the mundane and discover the extraordinary on the journey of a lifetime on board Aranui 5.